June 29, 2012 at 12:06 pm. 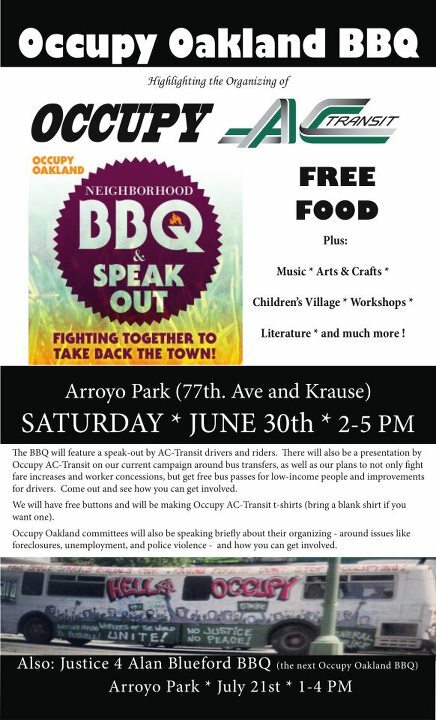 The BBQ will feature a speak-out by AC-Transit drivers and riders. 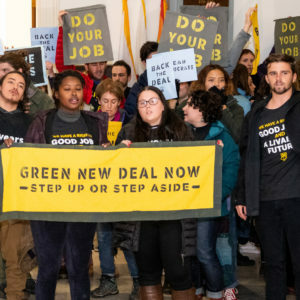 There will also be a presentation by Occupy AC-Transit on our current campaign around bus transfers, as well as our plans to not only fight fare increases and worker concessions, but get free bus passes for low-income people and improvements for drivers. Come out and see how you can get involved. We will have free buttons and will be making Occupy AC-Transit t-shirts (bring a blank shirt if you want one). Occupy Oakland committees will also be speaking briefly about their organizing – around issues like foreclosures, unemployment, and police violence – and how you can get involved.